The organisers of the Royal Air Forces Association (RAFA) Shoreham Airshow being held on 31st August and September 1st are delighted to announce new major sponsors on board for this their 24th Airshow which to date has raised. 1.8 Million Pounds for RAFA Funds. Air BP has joined Spitfire Ale (Shepherd Neame), Southern Trains and Johnson’s Press (Group Papers Hampshire and Sussex) as major sponsors. “The Aviation Division of BP is delighted to associate itself with Shoreham Airshow considered by many to be one of the most popular aviation events in the UK that has given so much to such a deserving charity as the Royal Air Forces Association,” said their spokesperson. Other supporters include Bunn Leisure, Winner Plant Hire, Southern Water, Rabbit Skips, Splash FM, Brietling and Brighton Shoreham Airport. “These are very important to us at Shoreham as they provide the support we need in many areas to make sure the show runs to the standards the CAA expects,” said Derek Harber Airshow Organiser. 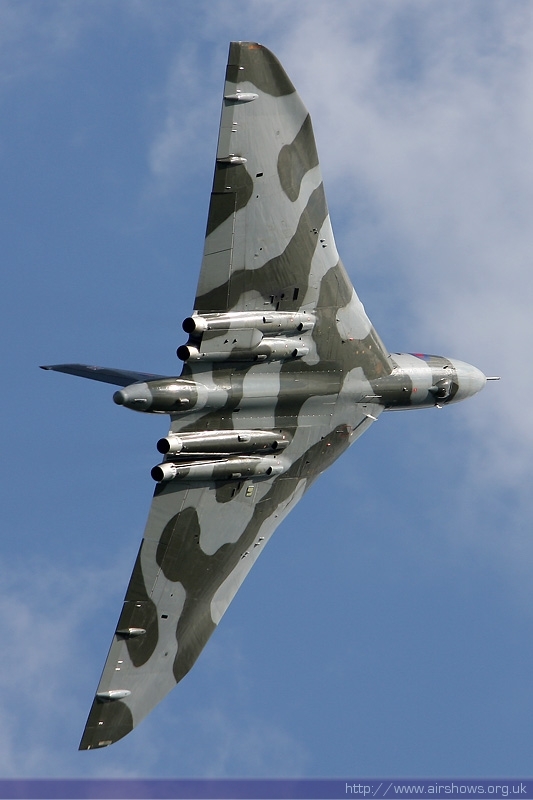 Rod Dean, the Airshow Flying Display Director has confirmed that the Vulcan has been booked for Sunday 1st September. He added, “The flying display is all but completed and we will be featuring some new participants to celebrate the 70th Anniversary of 617 Squadrons Dambusters Raid and the Salute to the US Mighty 8th Air Force. The RAF is providing a full assortment of display aircraft including the Eurofighter and Lancaster. “Ground attractions and the static aircraft display make it a full day out for all our visitors and we have not forgotten the children with a fun fair and flight simulators. Military vehicle displays will run alongside the popular craft tent. On Saturday evening we have the very colourful kite display lighting up the skies over the airfield,” said John Periam Airshow Press Officer. “It has now become a mammoth task for the airshow team to run this event. We know we can’t please all, but we can assure you that it is a real value family day out with over 5 hours flying and 60 participating display aircraft. With the backdrop of Lancing College and the South Downs it makes Shoreham a unique display which is highly respected by pilots and members of the armed services, as is shown by their continued support over the years,” said Derek Harber. Our website www.shorehamairshow.co.uk is updated on a regular basis and the Johnson’s Press ticket hotlines are now open on 01903 714135 and 01903 282382. They are also selling tickets at over 75 retail outlets in Hampshire and Sussex. For those that want to see the show in style there is the Executive Enclosure where you can enjoy lunch and afternoon tea whilst watching the flying close to the crowd line. For more information please contact the airshow office on 01273 441545.